Development of Public Interest Litigation has been gradual. Before its introduction in Bangladesh, it successfully developed in several other jurisdictions. 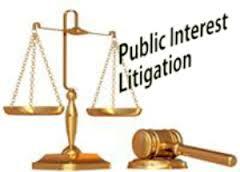 The term ‘public interest litigation’ was first used in the USA in the late 1960s and early 1970s when a special type of cases sought to represent the underrepresented interests of the society in law courts. It came as a part of the greater movement of ‘public interest law’ that included legal aid, alternative dispute resolutions, lobbying and so on. Funded by voluntary sector organizations, lawyers organized themselves into public interest law firms. Marketing Strategy of Apple Computers Inc.